A rare bottle and the short history of the company suggests why! 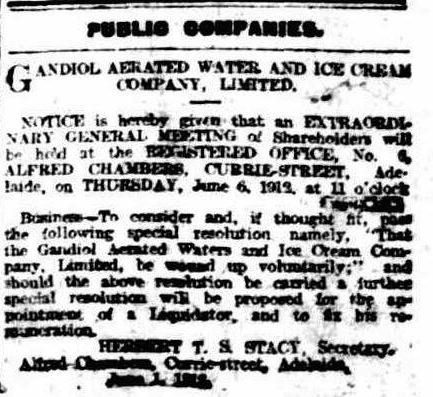 The Gandiol Aerated Water & Icecream Company Limited was formed in Adelaide in late 1911 and advertised their products to a small extent during December of that year. On the first of June 1912 however the company held an extraordinary meeting to arrange the winding up of the company which was subsequently done. So in total the company appears to have only lasted 7 or 8 months. During the search for these articles a Jules Gandiol popped up who ran restaurants, hotels and the like at different times in nearly every capital city around the country. It seems likely given the unusual name and complementary nature of his work that Mr. Gandiol would have had some involvement with the Aerated Water and Icecream business that used this codd bottle. 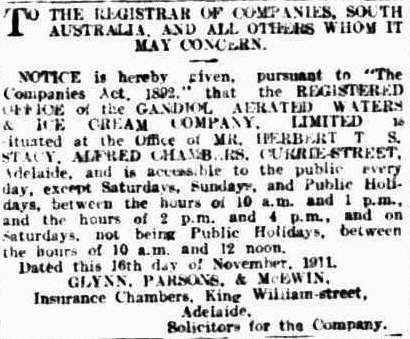 Notice in the Adelaide Advertiser 18th November 1911. 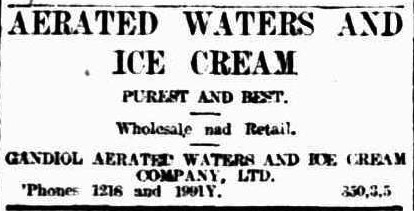 Advertisement from the Adelaide Advertiser and Adelaide Register, various issues in December 1911. Notice in the Adelaide Advertiser 1st June 1912. 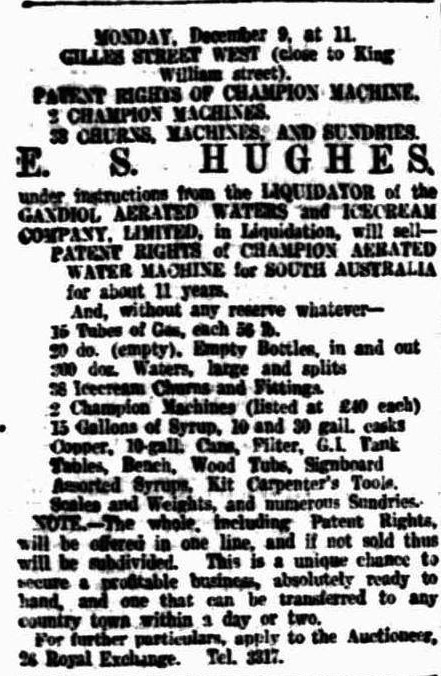 Auction notice in the Adelaide Register 7th December 1912.